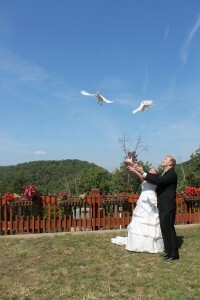 Once the Lord of Heaven chose two doves, both young and fair, and told them of a very special journey they would share. "Go now upon the earth and see two hearts where you may dwell, and there I shall surely come and make my home with you as well. We'll join the two and make them one. A Husband and his Wife, my spirit will endow their love with everlasting life." 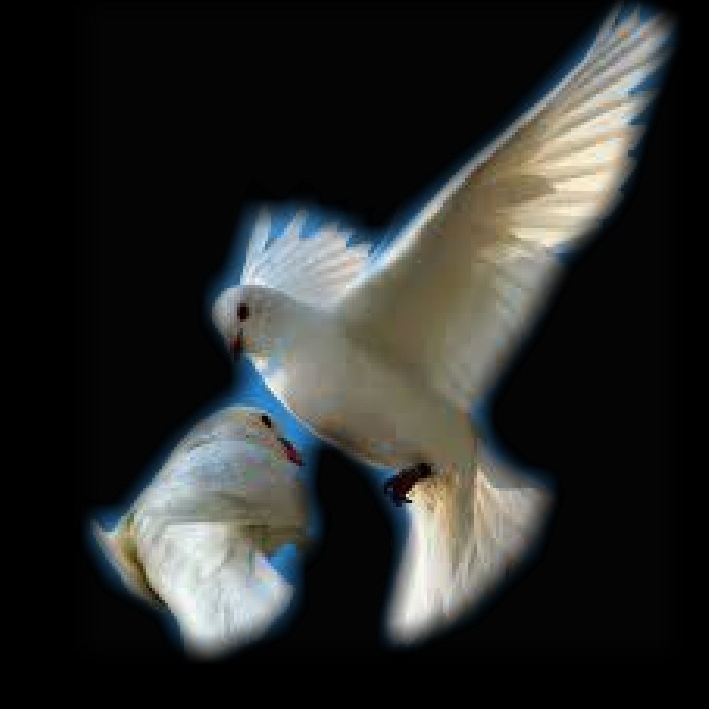 Today the Doves will bring the sacred promise from above, to those whose hearts are open to the miracle of LOVE. extra birdes can be brought with an extra fee for children to release to unite the whole family. We now have new tuxedo doves for the gents. 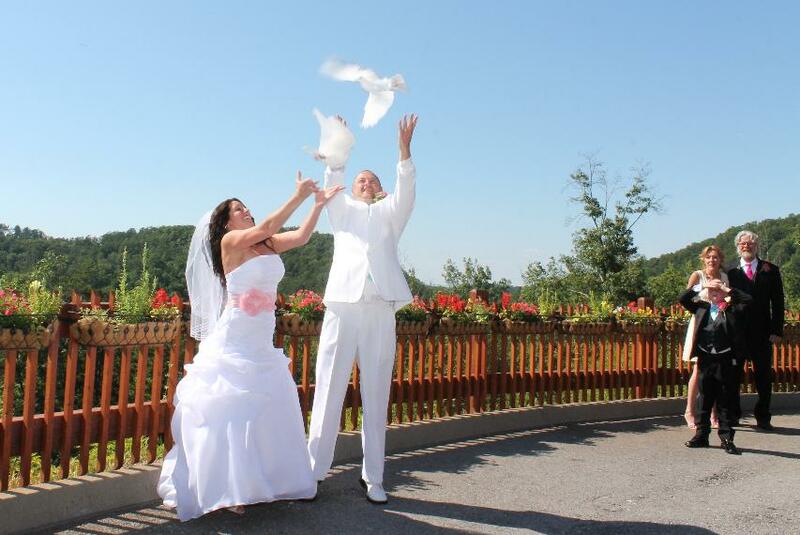 Request this or for a beautiful display 16 doves... call 1-800-758-6604..